The Spanish artist Oscar Barila is a personality and well respected in the techno house and deep house scene. He has released on quality label such as Suara, Material, Bedrock, Music Gewinnt Freunde and many more and has his own imprint My Little Dog Records. His tracks "Lights Off", "Lolo Says" and "Too Delirious" where huge in the dance scene. 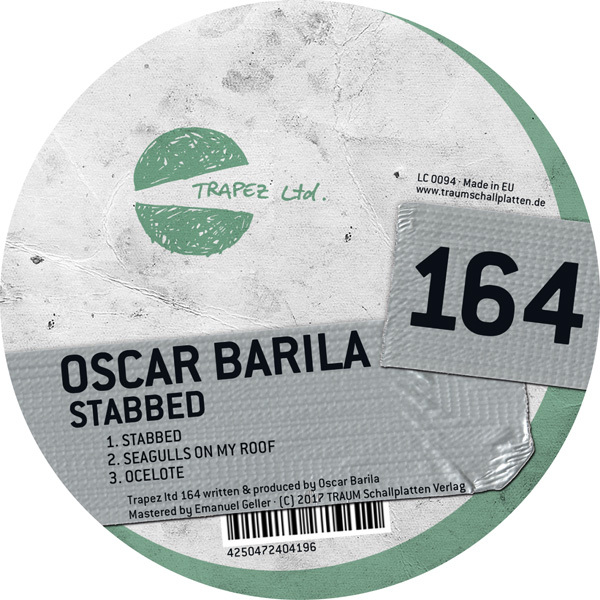 For Oscar it is important to be a free minded and versatile producer which shows in his releases that range from deep house, tech house and nu disco. His corporations with a lot of top producers show he is recognized as a skillful and gifted producer. We have worked with him in the past and are happy to feature a brand new EP of his. The EP kicks off with the percussive and energetic track "Stabbed". Its positive and uplifting quality connects with a classy understatement and is 100% dedicated to shake the dance floor. There is no question about this one... it is a track that will work great under different circumstances because of its nice universal approach. "Seagulls On My Roof" is more edgy and shows a perspective which is more warped, psychedelic and deep. Some might even call the track 'tropic' because there are sounds coming from every corner to create that kind of uncertainty und urgency within a wall of sound. This track is more for the advanced DJ who has total control of his audience and can drop also weird tunes. But despite all of that it could as well end up being the hottest track of the night! So maybe this one is our favorite here. "Ocelote" kicks of with a rhythmical, 'native African' sound loop and has funky programmed beats which are contrasted by dark pads. You see much more deep house quality in this track since the sounds work with huge reverbs that warp around yourself and build up a cocooning spirit.